With Labels, you are able to categorize your actions for easy viewing. 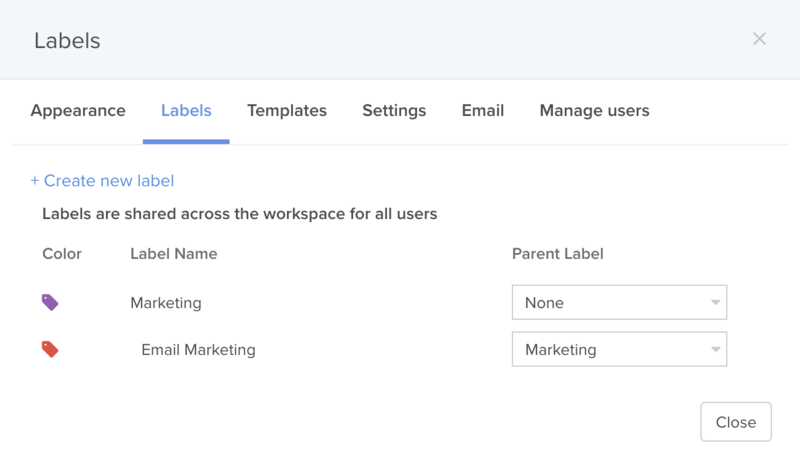 This is how you can create a label in Hive. 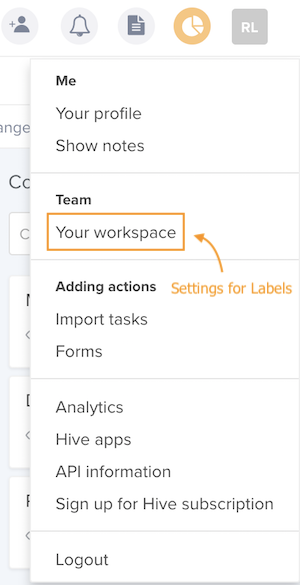 Go to your Avatar, and click on "Your Workspace"
Go to "Labels" Tab and create a new label. 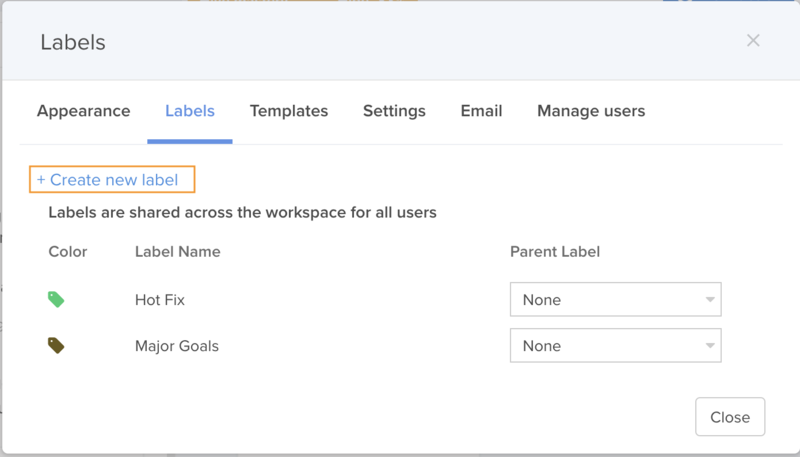 Tips: Just like an action, you can also create labels with relationship. 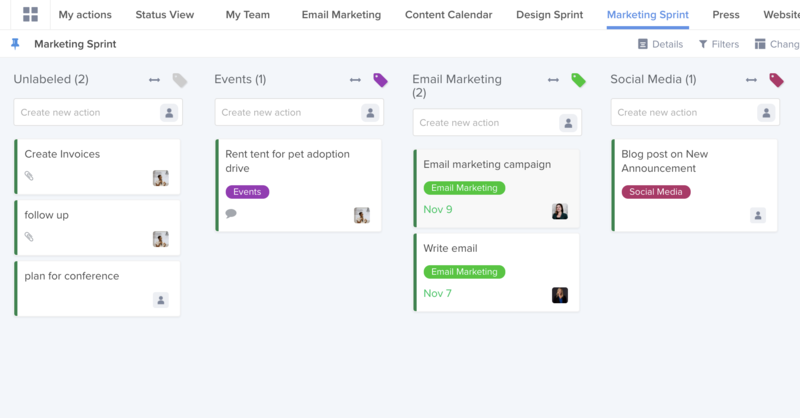 This gives you more organization and flexibility in categorizing your actions. You can easily change a layout of your project to label view to have a visualization on the number of actions under each label. Go to a project, click on "Change Layout"
Then navigate to Label View, and you are good to go!